Two part organic herbal colon cleanse with psyllium and bentonite clay. Made up when ordered with fresh ground herbs are know to gently remove built up toxins and mucus from your colon and digestive system. The saying "you are what you eat" really is true. Depending on what you do eat and drink will determine how well your colon and digestive system functions, which then determines your overall feeling of health, but you know that already! To experience optimal digestive health, there are two essential requirements, eating the right foods and a healthy colon. Your colon plays a very important role in your overall health and wellbeing. When you clean out your colon with organic herbs it can removes built up mucus, toxins and compacted matter that have been laying in your system for years and when this happens you actually may feel much better! Mucus is a normal body secretion, and a natural defense mechanism and we need healthy mucus. Mucus membranes in your colon continually secrete mucus as a means of keeping the surfaces of out intestinal tracts moist and lubricated. When you catch a cold, your body produces mucus to assist in the removal of germs. If you were to ingest poison your body would do its best to reduce the harmful effects by making you vomit, and at the same time producing mucus in your intestinal linings. Mucus coats the intestinal linings in smooth layers to reduce absorption of the poison and to speed the offending material out of the body. Did you know that dairy products produce an over production of unhealthy mucus, which coats the colon and digestive system covering vital defenses. This mucus creates the right environment for worms, Parasites, Candida and other yeast infections to take up residence and thrive inside your colon. Your colon has the job of absorbing all the nutrients, vitamins, minerals, water, all the goodness from the food you eat. If your colon is covered in unhealthy mucus you will not be obtaining all the goodness from your food. Milk and foods that contain milk stimulates an over production of mucus. We are not suggesting you stop eating dairy products, but making herbal colon cleansing part of a healthier life style twice a year will certainly maintain colon and digestive health. 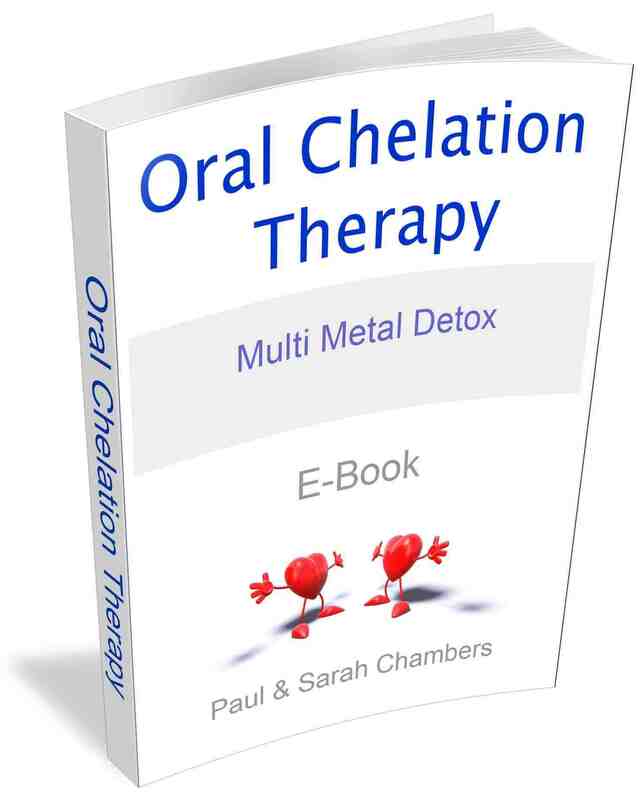 It is also a great preventive for colon related health problems. The herbs combination in this psyllium and bentonite clay organic herbal colon cleanse helps to remove the residue of built up mucus. There are many positive benefits of doing a colon cleanse. One is the benefit of increased goodness obtained from the food you eat and another is clearing a putrid and toxic colon of built up food matter and decaying material, which creates foul odors and could lead to a stagnant bowel and other serious bowel problems. 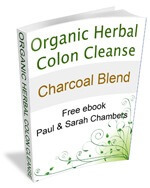 Cleaning out your colon with a herbal colon cleanse is easy. Not only do the herbs flush the colon and digestive system but they also help support your other organs at the same time. You just need the right intestinal cleanser. When I typed "colon cleanse" into Google search engine I did not find one Australia made herbal colon cleanse. What I did find were lots of colon cleanses from other countries. 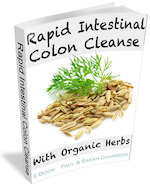 I found people selling colon cleanse products that stated Australian but were not made here. All the organic herbal colon cleansers we offer are individually made up from fresh powered herbs. Psyllium and Bentonate Clay Colon Cleanse - What's in it? Stimulates the digestive system to speed you digestion. Has a natural antiseptic herb. Herbs that are known promote healthy intestinal bacteria. 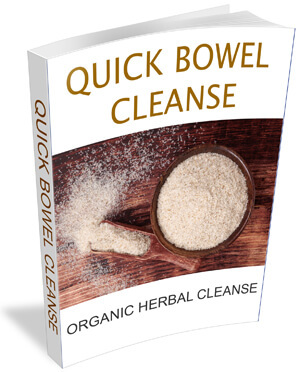 The first part of a successful herbal colon cleanse should always speed up your digestive system and decrease the time material sits in your colon. The result is your colon extracts less water and stools will be wetter. The reaction of the herbs and psyllium will soak the mucus, just like soaking wallpaper before you strip it. 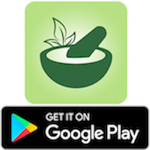 If you are looking for a really good herbal colon cleanse we suggest that you check out the reviews at the bottom of each product page. We have customer support to help you with any questions you can't find the answers to on our site or within our eBooks. We support our customers through the duration of their cleanse with helpful advise and will always be here to answer your emails. 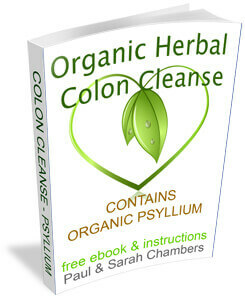 Full directions and ingredients are detailed in the Psyllium and Bentonite Clay Colon Cleanse free eBook. If you are trying to conceive, pregnant or breast feeding do not take any herbs without consulting a qualified practitioner. 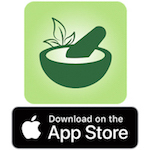 Herbs may not be suitable for children, always seek professional advise. 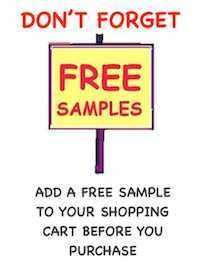 Information provided on this web page is for educational purposes only. Please do your own research about the herbs we offer. 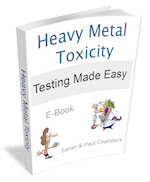 The full ingredients can be found in the eBooks and we encourage you to read before you order. Self diagnosis can be halmful to your health so please seek advise from your doctor, or health practitioner if in doubt. We offer a free consultation. 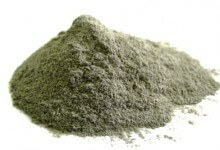 Organic herbal colon cleanse psyllium and bentonite clay. Gentle herbal colon cleanser to remove built up toxins and mucus from your colon and digestive system.